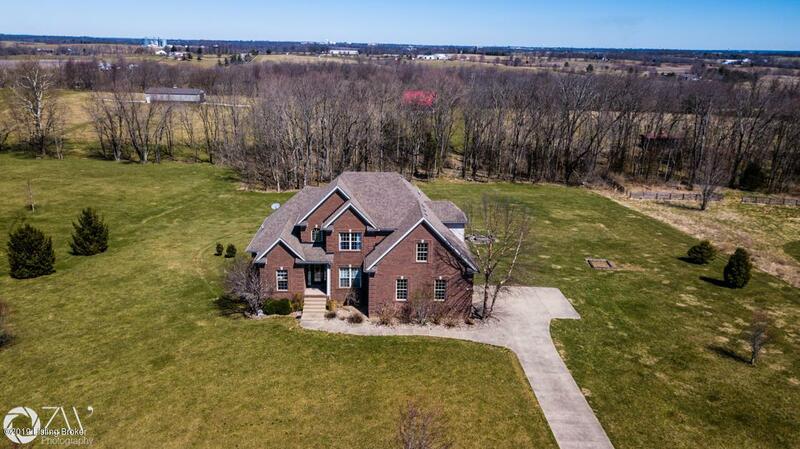 All brick custom built home with an open floor plan...perfect for entertaining. You can see the quality throughout. First floor master suite with whirlpool tub, separate shower and custom walk-in closet. 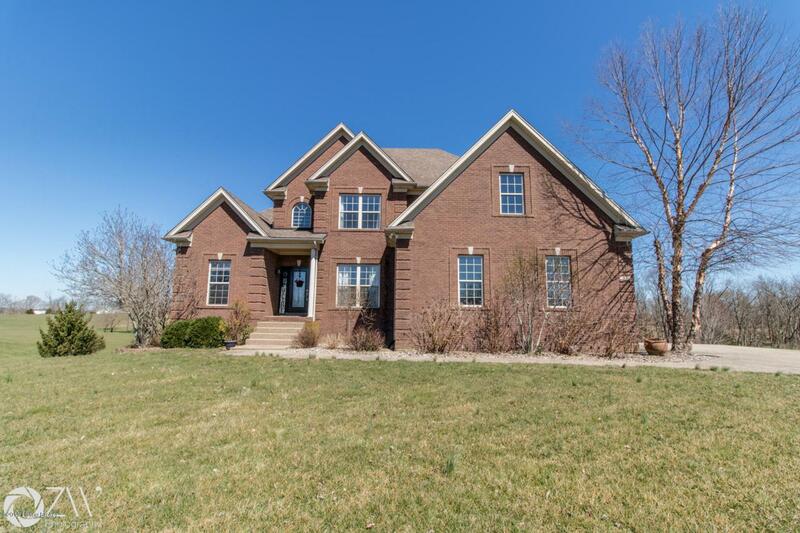 Wood and ceramic tile floors everywhere except upstairs bedrooms and basement. 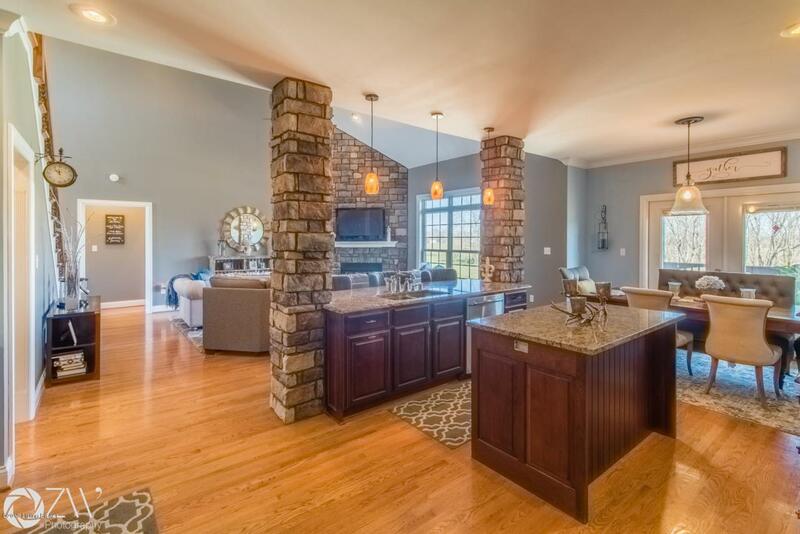 2-story great room with stone fireplace and open bar to the kitchen. Large formal dining room with lots of molding. Back covered deck overlooking refreshing saltwater swimming pool, 5 acres that are partially treed and the ultimate lady/man barn. The gourmet kitchen has solid maple cabinets, laid stone pillars, granite countertops and all-top-of-the-line stainless appliances. 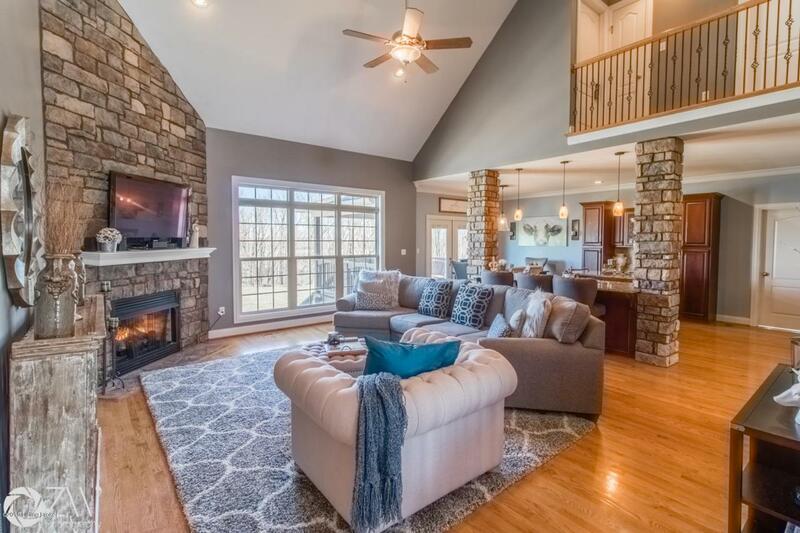 You can make your way up the decorative balusters staircase to the upstairs where you will find more large bedrooms.If all of this isn't enough, this sits on a finished walkout basement where you'll find a family room, wet bar area, bedroom #5 and storage room. There's so much more to see!